There is a very popular saying that says that diamonds are a girl’s best friend. 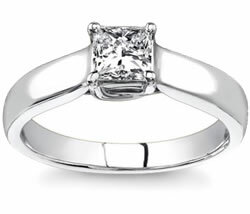 At Novori, we would say that CERTIFIED DIAMONDS are a girl’s best friend! Diamonds frequently receive attention and dominate other precious stones because of their beauty. It has been known for ages and has been used since the olden days that love is something rare to find as is a diamond. Diamonds are first mined in India over 4000 years ago. They were originating in the alluvial deposits of the stone along the rivers of Krishna, Penner, and Godavari. The Hindus attributed so much power to them they even used them as the eyes of stone deities. Diamonds were also used for decorative purposes and as a talisman to ward off evil or provide protection in battle. Since early times, many believed diamonds could bring luck and success and could counter bad astrological events. There were people that wore diamonds as charms believing in their ability to heighten sexual prowess and attract others. Given this brief history, I’m sure you’re still wondering why diamonds are the engagement ring of choice and why diamonds are carefully considered as the ultimate symbol of love and adoration. For centuries, diamonds have been broadly known as the universal symbol of eternal love and commitment. For the next centuries, diamond engagement rings were only restricted to the rich and noble families because of the small supply of diamonds. But in 1870, diamond mines in South Africa were discovered and this greatly increased the availability and affordability of diamonds to the public.